The DOLLY is a completely adjustable slip-in, comfort sandal with Haflinger's famous natural cork footbed and velcro closure. Experience Haflinger and experience wellness from the ground up! EVERYONE BENEFITS BY WEARING A HAFLINGER! Haflinger promotes and encourages an active and healthy lifestyle with footwear that combines natural, breathable materials with essential foot support. Haflinger footwear enhances people’s quality of life by adding to their health and vitality. Walking with Haflinger means everyday wellness! Arthritis - Tight shoes put pressure on the nerves, damaging them and in the long run may contribute to arthritis. Imbalance - Shoes that challenge your stability can create groin pulls, knee pains and back and neck pain. Pain - When shoes cause poor alignment or the range of motion is limited in the foot, other joints throughout the body will try to compensate for it, and this is what often causes pain. People from all walks of life benefit from Haflinger—young and old, men, women and children. 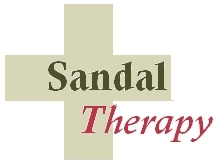 It is for people who want to be proactive about their foot health and for those millions of Americans who suffer from foot problems caused by disease, congenital defect, overuse and injury. Your wellness starts from the ground up! Given the complexity of the foot—26 bones, 107 ligaments, 19 muscles and a rich network of nerve ending—this masterpiece of nature should not be squeezed into pointy shoes. The best shoes for healthy feet mimic the foot’s natural shape while offering support in the arch and a flexible sole underneath. Shoes that are flat, soft and squishy offer no protection or support. It is long overdue that we give our feet the proper attention that they deserve! Not convinced yet? Then consider for a moment Haflinger’s ‘foot workout’. Many Americans young and old work out every day: they lift weights not only to bulk up, but also to strengthen their bones to protect them from injury. Why should we not do the same for our feet?! Our feet and toes MUST be exercised to strengthen muscle tissue and ligaments. Just like upper body exercise enlivens your body and mind, so does exercising your feet. Haflinger footwear provides a roomy toe box for your toes to spread out freely, contract naturally and essentially ‘work out’ while you walk all day. Your posture, body alignment and balance will all benefit. Haflinger footwear is total wellness! Many shoes claim to have supportive footbeds that consist of nothing more than a thin, flimsy foam lining or insert. 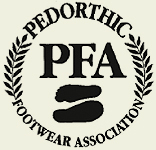 But this is not enough to protect and animate your foot and it offers inadequate support for an active lifestyle. Haflinger’s natural cork and latex footbeds give you support but are soft enough to adapt to the unique shape of your foot. It will provide support not just for your feet but for your entire body, promoting good health in muscles and bones while easing the strain on the hips, knees and spine. Through our footbed the body experiences proper weight distribution, balance and utmost comfort while encouraging the feet and body to take the most natural walking and standing position. Comfort begins in the feet and works its way up!